But will doctors and patients normalize alternative therapies involving MDMA, LSD, ketamine, and other ‘unlawful’ drugs? Will we see prescription psychedelics in our lifetime? There’s a bit by comedian Bill Hicks from 1989, where he asks, “Wouldn’t you like to see a positive drug story in the news?” Then, he does an impression of a newscaster, reporting about a young man on LSD who doesn’t try to fly by doing something stupid, like jumping off a building — as most news stories reported back in the day. Instead, the young man realizes we are all one consciousness. “There’s no such thing as death, life is only a dream, and we’re the imagination of ourselves. Here’s Tom with the weather,” Hicks quipped. Years later, society is still not there when it comes to psychedelic drugs. But for researchers worldwide, small victories have them eyeing a future of normalized psychedelia. And that’s why this week in Oakland, more than 200 speakers and researchers, and thousands of attendees, will converge on downtown for Psychedelic Science 2017. The gathering is the largest psychedelic-research conference in history. For three days, the Oakland Marriott City Center will be overrun by 2,500 registered guests, nearly double the attendance of its 2013 conference. Sure, you can expect white folks in tunics, lots of braided ponytails, public friendliness, a pro-psychedelic comedy banquet, crystal art that refracts infinite rainbows, and even more white folks that want to talk to you about Peru. But, in all seriousness, the Psychedelic Science conference is dismantling expectations and pre-conceived notions of trippy drugs and public health. Consider Rick Doblin, founder of the Multidisciplinary Association of Psychedelic Studies, or MAPS, a nonprofit research facility based in Santa Cruz. Started in 1986, MAPS is at the forefront of psychedelic research and education. In November, when it was announced in The New York Times that MDMA was one clinical-studies phase away from medicalization, it was MAPS that moved the needle. Doblin frames it as a multigenerational struggle, one on par with civil rights and gay rights. In 2017, psychedelics are undergoing concurrent waves of cultural renaissances. One only has to look at the potpourri of workshops by researchers and specialists worldwide that will descend on the conference: MDMA-assisted psychotherapy is the front-runner in medicalization, the family tree includes issues such as ayahuasca retreats, ketamine-assisted psychotherapy, psychedelic harm reduction at festivals, holotropic breathing, and LSD microdosing. “I think it’s all part of helping a culture that, in a sense, you could say had a bad trip with psychedelics,” said Doblin, referring to President Nixon’s War on Drugs as a measure to wipe out the cultural revolution, via criminalization of everything that got politically active youth feeling woke and disruptive in the Sixties and seventies. The outright banning of MDMA in the mid-1980s was the psychoactive substance’s above-the-board death rattle. To Doblin’s benefit, though, there’s been a cultural amnesia surrounding any presumed harm of the drug, or societal fears of psychedelics in general — which were perpetuated by Oprah specials (featuring CT scans of holes in a teenage girls’ brains), D.A.R.E. commercials (of eggs in a frying pan), and reefer madness stories (about the kid who took two-hits and never stopped believing he was a philodendron plant). Doblin even noted that, in psychiatry-registry programs, they no longer teach about the perils of psychedelics, one of the many contributing factors to this cultural renaissance. 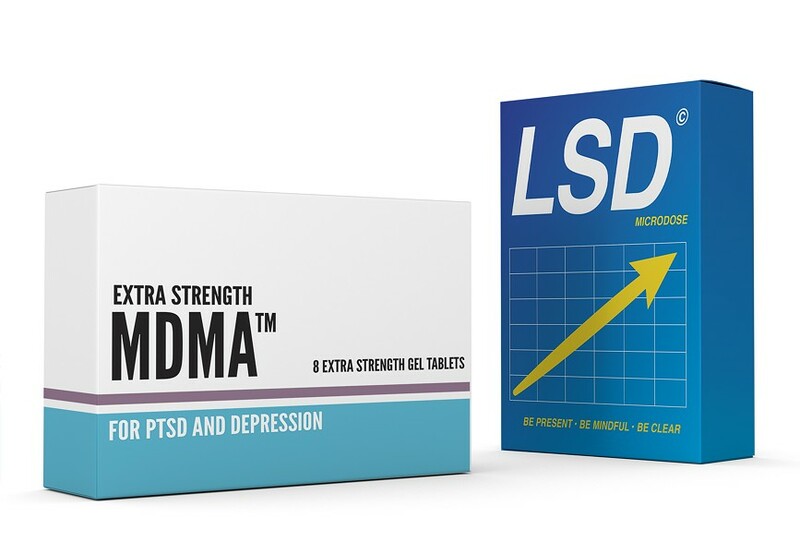 For instance, treating PTSD with MDMA-guided psychotherapy is gaining acceptance. And there’s also a community that’s using psychedelics in the creative economy. The Psychedelic Science conference also is a place to meet “microdosers,” according to conference director Brad Burge. For the uninitiated, microdosing is the practice of consuming LSD or psychotropic mushrooms in such a low dose, roughly 10-20 milligrams, that it does not overwhelm or inhibit one’s ability to function in society, but rather enhance it. It’s popular in Silicon Valley, journalists are dosing for cultural essays (that read like sub-standard versions of Aldous Huxley’s Doors of Perception), and author Ayelet Waldman wrote an entire book about it, entitled A Really Good Day. In it, the Berkeley-based writer microdoses to stabilize her moods and restore her relationships with her children and husband. It’s swell, and very much a throwback to the 1960s when housewives were handed MDMA to keep their marriage together. But it’s also a far cry from the counterculture 1960s, when Timothy Leary strove to blow the doors off human consciousness. In Scott Beauchamp’s review of A Really Good Day for The Baffler, he amasses the microdosing hot takes from GQ, Rolling Stone, Marie Claire, and Konbini as fodder for “another chic, productivity tool of yuppies, in the same bourgie category as Soylent or the fitbit.” He paints a portrait of bigger, faster, stronger capitalists that are working for the man, rather than waiting for him. While Doblin does the hard work in Washington to push for the medicalization of MDMA, Dr. Philip Wolfson is in Marin County treating the mental health of terminal patients through psychedelic-assisted psychotherapy. Wolfson, like Doblin, has been in this fight for decades. He testified in 1984 against the banning of MDMA, suggesting the drug experience “is not a panacea, per se,” but that a “promising new psychotherapeutic agent will be lost to the medical profession” if it is banned by the DEA. The Bill Hicks joke came four years after the the U.S. Drug Enforcement Administration banned MDMA and labeled it a Schedule I drug, a categorization that’s based on the potential for abuse and dependency and acceptable medical use. Schedule I drugs, which include marijuana, heroin, LSD, and peyote, are thereby deemed to have no accepted medical use. Whereas, Schedule II drugs like hydrocodone (Vicodin), oxycodone (Oxycontin), methamphetamine, fentanyl (the drug that killed Prince), and Ritalin or Adderall are all, in the eyes of the DEA, less addictive. It’s not until the Schedule III drugs that legal opportunities come into play for pro-psychedelic therapists. Most notable on the Schedule III list is ketamine, a dissociative drug once commonly used for anesthesia until the DEA added it to its controlled substances list in 1999. “None of us are having problems with [patient] addiction,” Wolfson told the Express of his colleagues that are conducting ketamine-assisted psychotherapy. Wolfson runs the Center for Transformational Psychotherapy in San Anselmo, where he treats patients with, among other things, ketamine. He’s the author of The Ketamine Papers, which is published by MAPS. At his practice, patients with terminal illnesses ingest or intravenously shoot the drug, which induces a “very difficult, very powerful trip,” one that Wolfson suggests is a factor in dissuading people from abusing it. Wolfson conducted phase two MDMA for PTSD trials at his center that led to the approval of phase three by the Food and Drug Administration. His center will be a location for the phase three trials planned for the fall, as well. Interest is swelling in his practice, and he says bringing on more practitioners in his two-person operation is necessary. Public perception continues to evolve. A recent Pew Research Center report found that 57 percent of Americans think marijuana should be legal. A decade ago, it was inverse. It also can be argued that psychedelic normalization has quietly infiltrated the zeitgeist. Hicks’ psychedelic-friendly comedy is merely a gateway drug to modern comics like Shane Mauss, Duncan Trussell (a regular guest on Joe Rogan’s podcast), and Adrienne Airhart. This past year, Mauss’ “A Good Trip” tour, sponsored by MAPS, visited more than 100 cities. With no opener, Mauss took the stage and did two sets almost exclusively about his extensive drug use, and the show is ultimately about openness and how the brain functions. Someday, he hopes to do an entire show on neurology. “Psychedelics have been a good inroad for me to do more challenging material,” Mauss said. “I’d like to do shows about psychedelics and also shows about science.” He’s even developed a DMT-specific set that he’s booked in Boulder and Minneapolis. In the case of MDMA, Levy cites noted British psychedelic psychiatrist David Nutt’s assertions that the active ingredients in MDMA are considerably safer than other substances, including alcohol, but it’s the unregulated, illegal black market that has resulted in several individuals dying due to apparent impurities. According to the Bureau of Justice Statistics, cocaine, a Schedule II drug, was the most common drug type involved in arrests, at 25 percent, in 2014. Unlisted in the data is MDMA or ecstasy. Pro-reform group Drug Policy Alliance boldly lists that the United States has spent more than $51 trillion on the War on Drugs. Compare that to the $25 million it will cost MAPS to study MDMA’s effects on patients with PTSD.